Lesli Maxwell at Education Week reports that the final version of the accommodations manual has just been released, and she also includes information about PARCC’s debate around testing supports for special populations in her coverage. This has been an interesting couple of weeks in terms of implementing the Common Core with ELLs – an issue that is getting some much needed attention in broader education circles. 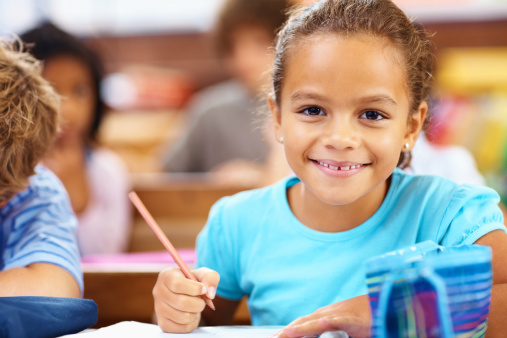 In this week’s post, I’ll share some information related to assessing ELLs that I gathered while attending the Council of Chief State School Officers National Conference on Student Assessment last week. This week, I’ll give you a recap of instructional considerations and resources for teaching a CCSS-based curriculum to ELLs. As some teachers’ school years have already come to a close and others’ school years are quickly winding down, I thought it would be a good time to share a recap of this year’s top themes on the Common Core State Standards (CCSS) for ELLs blog. A recent article published in The Hechinger Report by Sarah Butrymowicz takes an in-depth look at how schools serving Diné (Navajo) students are responding to the Common Core State Standards, adopted by the Bureau of Indian Education (BIE) for use in its schools nationwide. This week I'll share some ways in which students' culture might impact writing within the CCSS framework. This report summarizes TESOL's Common Core and ELLs convening in February 2013 that brought together ESL teachers, administrators, researchers, thought leaders, and policymakers to discuss implementation questions and considerations.